it is an architecture and landscape design practice based in Rome. osa operates across the diverse disciplines of landscape, architecture and urban planning, thanks to the association of different practitioners who join it: specialists in building design, urban planning and landscape architecture. Together they are a whole, looking throught design for harmonius integration of all habitat components: buildings and urban systems, interiors and outdoor spaces, site nature and people behaviour. osa architettura (architecture) and osa paesaggio (landscape) are meanwhile two self-employed teams who can work as consultants for other actors, public as well as private ones. 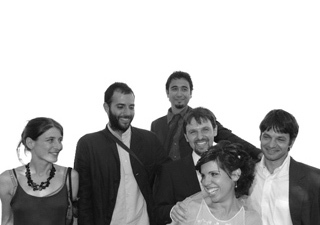 osa is: massimo acito, marco burrascano, luca reale, caterina rogai (architects); luca catalano and annalisa metta (landscapers).